Turkish President Recep Tayyip Erdoğan will embark on a two-day tour in the gulf to take him to Saudi Arabia, Kuwait and Qatar in an attempt to convince Qatar’s boycotters to normalize ties with the tiny-gas rich country where Turkey has been bolstering its military presence. Saudi Arabia, United Arab Emirates (UAE), Bahrain and Egypt have severed ties with Qatar, accusing it of funding terrorism and undermining their internal security. The quartet also cut ground, air and sea links with Doha. 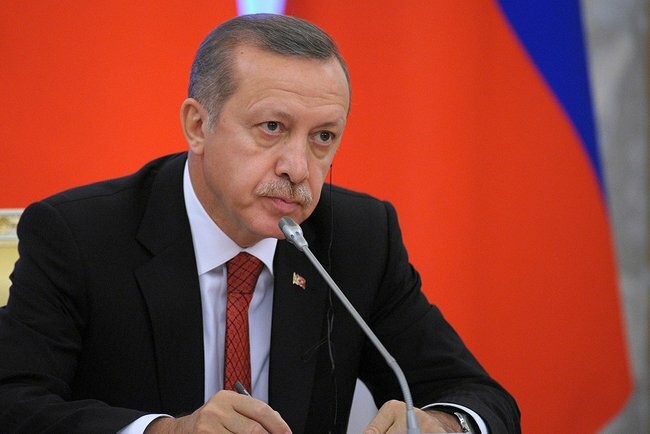 Turkey has involved itself in the crisis after Ankara began sending troops to Qatar. Erdogan is expected in Saudi Arabia on July 23 and in Kuwait the same day. The trip of the Turkish leader will wind up in Qatar on July 24 with a meeting with Qatar ruler. Erdogan, according to Turkish officials, is to tell protagonists in the crisis that the spat harms everyone’s interests and is “unsustainable”. Ankara claims it is neutral in the crisis. Turkish Prime Minister Binali Yildirim told media that Turkey will continue to play a “constructive and active” role to help solve the crisis. Erdogan’s announced visit comes in the backdrop of increasing Turkish military presence in Qatar. Qatar’s ministry of defence announced the arrival of the sixth batch of Turkish troops in Doha on Tuesday, to take part in joint exercises that have been taking place since last month, reports say. “Arrival of the 6th batch of Turkish forces to Qatar, to continue the ongoing joint cooperation in combating terror and violent extremism,” the ministry said on Twitter. Doha is expecting around 1,000 Turkish troops to be part of what it calls joint military cooperation against terrorism. Anti-Qatar countries have voiced concern about Ankara’s troops in Qatar. They called on Turkey to withdraw from Arab world affairs. “Our Turkish brothers need to recognize that the era of covert and to some extent unwanted intervention in the Arab world has long gone,” said Saudi Arabia’s UN ambassador Abdallah Al-Mouallimi. President Erdogan is also expected to tackle economic issues with feuding sides, analysts say. “Turkey has strong economic relations with all of the countries involved. Erdoğan, I think, will hold talks with the leaders to deal with the economic consequences of the Qatar crisis,” the director of Al Sharq Forum, Professor Muhittin Ataman told Turkish media Daily Sabah. Written by: KanelkaTagba on July 19, 2017. Posted by KanelkaTagba on Jul 19 2017. Filed under Headlines, World News. You can follow any responses to this entry through the RSS 2.0. Both comments and pings are currently closed.